Home » All Summer Courses Restored! ►Almost all of the 60 cancelled classes for the summer have been restored. Fewer than ten have been cancelled, and these decisions have been made by departments. ►Our work is not complete. Courses for the fall, including courses that fill and that are required for majors have been cancelled. 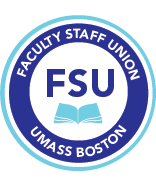 Please sign the petition here, protesting these cuts, the lack of transparency in budgeting and budget cuts, and lack of faculty input. The Board of Trustees heard us; now we need course restoration for the fall so that students can take courses needed for their majors and lower retention and graduation rates does not occur. ►Reminder! Problems with your working conditions on campus or interested in improving these? Join us at 12 noon, this Friday, April 14 in the union conference room, 2nd floor, Quinn. We will discuss how to support the bargaining team on this issue.